Celebrating the true spirit of Guru Nanak Jayanti! HomeNews and UpdatesCelebrating the true spirit of guru nanak jayanti! 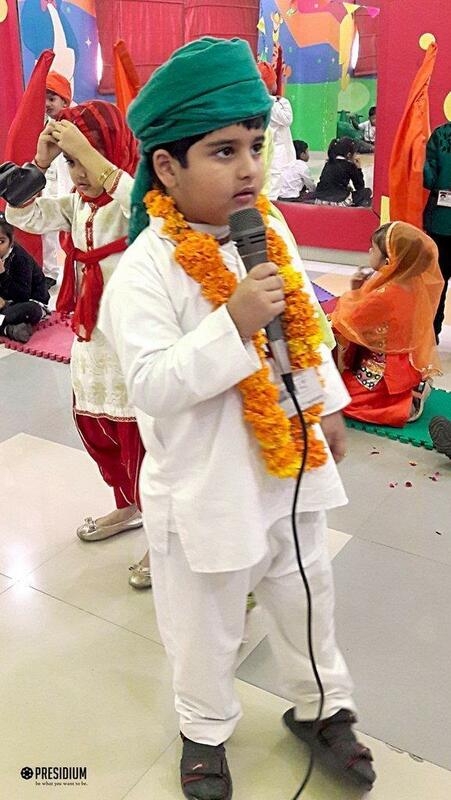 Students of class Prep B conducted a special assembly on Guru Nanak Jayanti, the most sacred festival of that celebrates the birth of Guru Nanak Dev Ji. This beautiful festival has its own significance and we at Presidium truly believe that our kids should gain experience and exposure of celebrating the festival with full zeal and enthusiasm. Secularism is the beauty and glory of our constitution. This is what we want our kids to imbibe in their hearts, mind, and soul. The colorful and bright attire of the kids were the cherries on the pie. 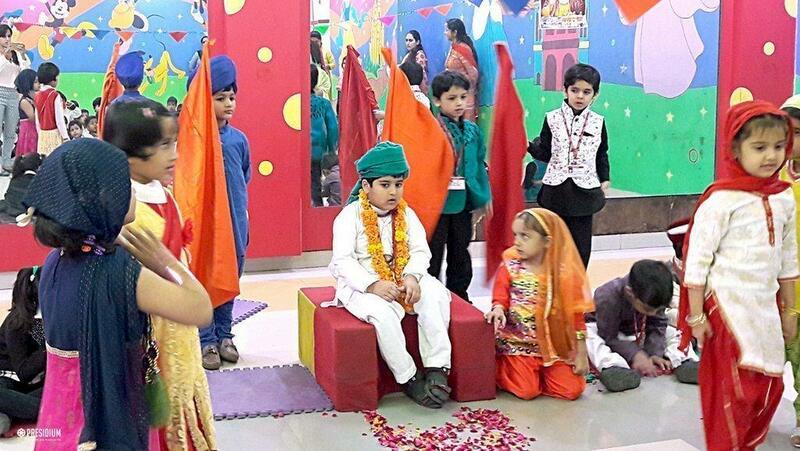 Dhruv Sharma, the Jewel of the class was dressed as Guru Nanak Dev Ji, Panshul, Jivesh, Kevin, Pratyaksh Daksh Dahiya were dressed up as Panj Pyare. 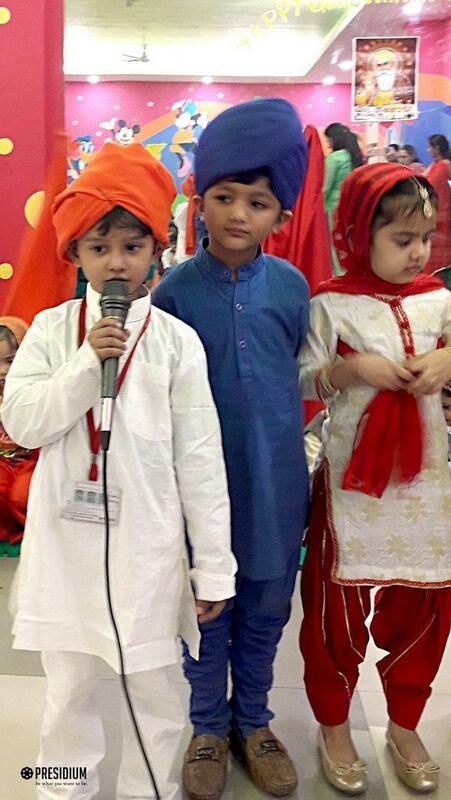 Other kids were also dressed up in Punjabi attire, looking adorable. They had a procession led by Guru Nanak Ji and Panj Pyare carrying Sikh flag known as Nishan sahib. Guru Nanak Dev Ji's birthday would never be complete without Kara Prasad. 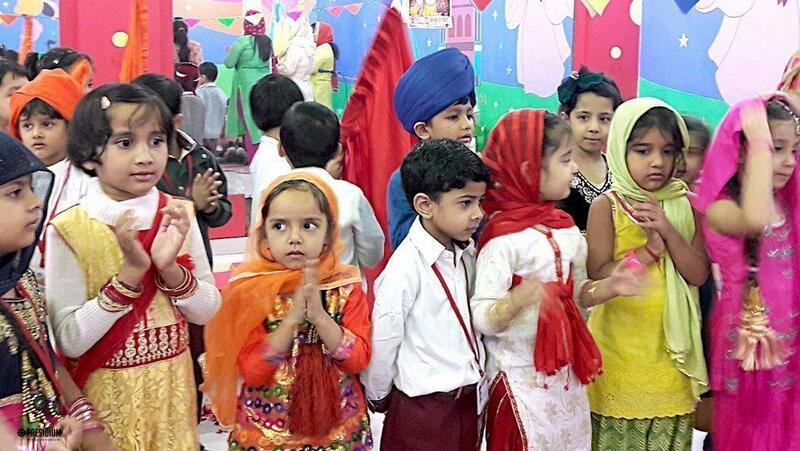 It was indeed a pleasure for all to see tender hearts and innocent faces glowing with brightness while chanting "EK OMKAR". This made everybody's heart glow with the true spirit of this festival.